For more information or to schedule an appointment with one of our physicians, call our New Lenox office at 815-717-8355 our Joliet office at 815-439-2726 and the Roselle office at 224-655-6555. Our physicians serve New Lenox, Mokena, Frankfort, Manhattan, Tinley Pary, Orland Park, Joliet, Plainfield, Shorewood, Crest Hill, Roselle, Bloomingdale, Schaumburg, Medinah, Hanover Park, Wood Dale, Itasca, and Keeneyville and other surrounding cities. The welcoming team at Integrated Physical Medicine is committed to providing well rounded physical solutions to address your unique needs, whether you are experiencing back pain, neck pain, headaches, sports injuries or are in need of post-surgical rehab or work hardening. You may be searching for pain relief after an accident, experiencing an injury, or if you suffer from a specific condition like chronic back pain or a spinal condition. Even if you're looking to improve your overall health, our physicians can help you attain your goals! Visit our testimonials page to find out what our patients are saying about our physical medicine care plans. At your first visit to Integrated Physical Medicine, our doctors will perform a full evaluation to see what solutions are a good fit to address your needs whether that is chiropractic care, physical therapy, massage therapy, sport-specific training, acupuncture, or some combination of approaches. If there is a good fit, we can customize a plan of care for your condition and health goals to repair your injury. If you have not been to a chiropractor, physical therapist, or a massage therapist before and want to find out more, please Email Us or call to receive the answers to your questions from our experienced team. If you would like to stay informed about the latest advancement in physical medicine or if you want to start receiving free articles about health and wellness news, subscribe to our bi-weekly newsletter, even if you are not a patient. We also offer a member wellness area which includes our animated exercise videos, wellness articles, and other healthcare resources. Former All-Star cheerleading gym owner/coach and high school cheerleading coach. We have worked with IPM since 2016 and are proud to consider them partners. From providing athletic trainers for our home games and festivals to working with our injured athletes, we cannot be happier with the level of service, quality of treatment, and generosity shown by IPM and its staff. 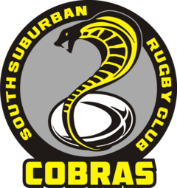 The athletic trainers volunteer their time to attend practices, Dr. Josh Eldrenkamp helps coach our high school boy’s rugby team, and Dr. Scott Kenny is always available to talk at parent meetings about injury treatment and prevention. Service, professionalism, and top-quality treatment all come to mind when thinking of IPM. We recommend them without hesitation. I have been a patient of Integrated Physical Medicine since they opened. Since then I have coached many wrestlers who have benefited from IPM's services. Whether it be a return to play to win a championship or to ensure the health of the athlete through a responsible concussion protocol. IPM is truly a responsible return to competition solution for high impact sports. In addition, I have two children and there is no other place I trust more to take care of their health needs than Integrated Physical Medicine. From X-rays to healthy eating habits IPM has truly been an asset for my teams and my family! I have been a patient of Dr. Scott’s for over four years, with and without injury. I have seen other chiropractors before finding Dr. Scott and none have compared to his care, gentle mannerisms, professionalism or knowledge. When my daughter had a concussion from her cheer injury I had no hesitation sending her to IPM. 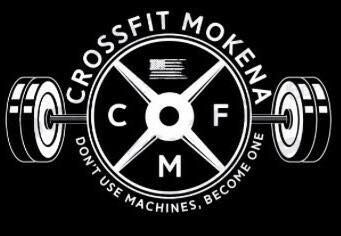 I own CrossFit Rua and with the first sign of any strain with my athletes, I send them to Dr. Scott where they receive prompt care. Dr. Scott has built a great team of caring and professional therapists and I am thankful to have him and his team keeping me, my family and my athletes in great health. "•	(GOOGLE) “My husband Dave had severe back issues, Dr. Jon ordered all the appropriate tests necessary to diagnose the problem, referred him to the specialists needed and treated him through a 8 week time frame. The staff and Dr Jon are not only professional but extremely knowledgeable in their treatment. I would highly recommend IPM”"
"•	(YELP) “Staff at this office are phenomenal and most importantly they cater to my individual needs. 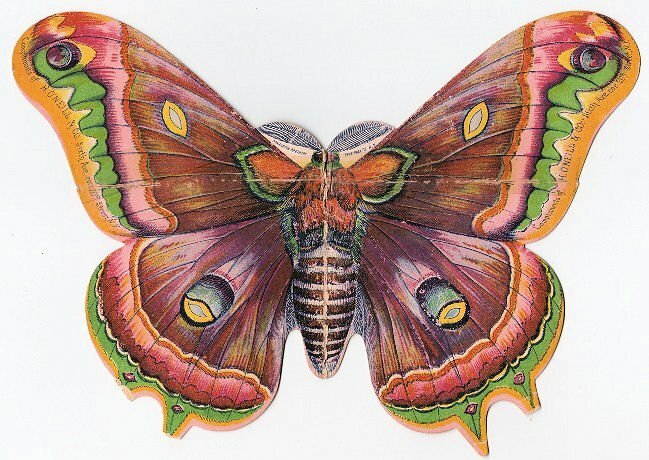 Most offices treat my same physical ailment all the same but IPM diagnosed and listened to my ailments and for the first time in a long time I feel excellent. I cannot say enough good things about this office. If you have any ailments i would consider IPM's excellent doctors and staff to treat you. Being in pain is not fun but now I feel comfort in knowing exactly where to go the next time I am.”"
"•	(YELP) “I can't say enough great things about doctor Eric, he did great job with my shoulder. Highly recommended this place !!! !”"
"(YELP) “Dr. Eric is absolutely wonderful! He has helped me back to recovery with patience and lots of support. Highly recommend IPM to anyone looking for PT/Chiro care. The staff is friendly and treats you like a part of their family.”"
"•	(GOOGLE) “The best physical therapy ever! Dr. Eric and his staff know what to do and so friendly and they treat you more than just a patient I recommend it to all my friends and family. 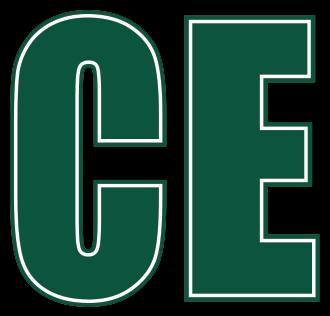 Go and give Dr. Eric a visit you won’t regret it.”"
"(GOOGLE)” I came to Dr. Schouten with chronic pain and muscle disfunction due to cervical disc issues. He has been able to provide treatment that is giving me steady positive results and I am very satisfied with every aspect of the care I've received.”"
"(GOOGLE)” Dr. Eric and his team at integrated physical medicine in Roselle are amazing! This is an excellent patient centered facility and I felt comfortable from the moment I walked in the door. I highly trust them with my own chiropractic and physical therapy needs.”"
"•	(GOOGLE) “Dr. Eric and all of the Staff at IPM Roselle are professional, proficient, and proactive with my care and individual case. I look forward to going to my appointments and seeing the whole team. They make the whole process easy and understandable. 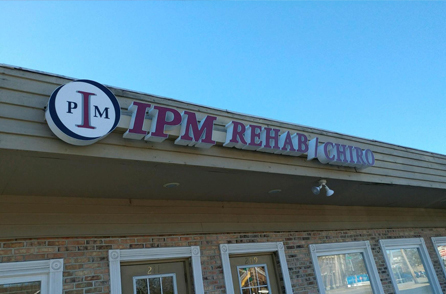 I would highly recommend IPM to anyone with back issues or anyone in need of physical therapy.”7"
"(GOOGLE) “I’m really happy with my experience here. They really care about their patients. Great staff! 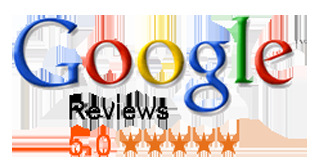 Thank you!”"
"(GOOGLE) “My experience with Integrated Physical Medicine was great. I came in with knee pain and their doctor diagnosed an issue and the staff helped me build it back up according to his plan. They worked great with my insurance and even gave me work to do on my own to keep the knee strong. My pain is gone and I'm back to all the physical exercise I was doing before the injury”"
"•	(GOOGLE) “I had some back and neck issues and after going to IPM they are greatly improved. All this with their well-trained staff members is an enjoyable experience that I'm glad to go back to every visit. Thank you for making my first chiropractic treatment in my life so great!" "•	(GOOGLE) “Spring of 2017 I could not bend over to tie my shoes… I went to see Dr. Jon... after a few weeks of therapy, treatment and adjustments I started seeing much improvement and now I am totally pain free. 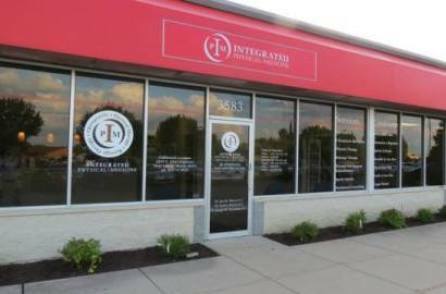 Everyone at the Joliet office have been wonderful and I highly recommend Integrated Physical Medicine.”"
"•	(GOOGLE) “Before, during, and after with my diagnosis and having major surgery, I was referred to Integrated Physical Medicine Dr. Jon & staff...I like the one-on-one and they helped me get my life back on track... Thanks again”"
"•	(GOOGLE) ”This facility does a wonderful job! Great office atmosphere, excellent clinical skills, and I always feel that they have my best interest at heart. 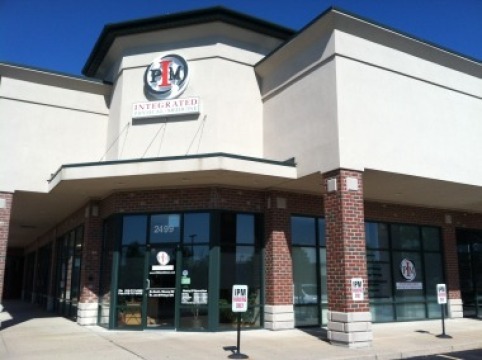 If you are looking for a patient centered facility to deliver outstanding chiropractic and physical therapy, I highly recommend Dr. Jon and the team at IPM in Joliet.”"
"•	(YELP) ”I've had lower back pain for most of my life and finally decided to do something about it. Dr. Jon and staff helped me develop a plan to remedy it with a combination of adjustments and physical therapy. I enjoyed coming to therapy at IPM.”"
"•	(YELP) “I met with Dr. John and he came up with a plan to fix my back. A combination of adjustments, and physical therapy… Dr. John told me I never want to see you in here again for pain, if I do that means I failed. If you have any pain anywhere on your body I would highly recommend you give this place a call they will take care of you.”"
"•	(YELP) “The PT staff is amazing and very attentive to your needs, always asking my opinion on my care and health which makes me feel that I have a say in my treatment. 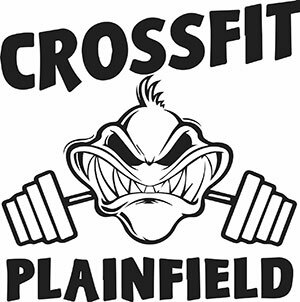 I felt relief at my first appointment and 3 weeks later, I am back on my feet working and resuming Crossfit with no symptoms.”"
"•	(YELP) “This place is beyond excellent! …They are compassionate, very knowledgeable and really know how to fix you up. The place is a one stop shop from massage, to Chiropractic needs to the grueling physical therapy. They are all team players and work hard to get you better. I would definitely recommend this place”"
"•	(YELP) “The treatment at IPM is unlike any other in the area. The soft tissue modalities combined with the physical therapy implemented by… (The doctors)…keep the uninjured healthy and get the injured moving pain free in minimal time.”"
"•	(GOOGLE) “I went to Dr Eric with some lower back pain... I went in on a Monday and they were able to get me a diagnosis later that day. When my results came back, Dr Eric thoroughly explained what issues I was having and we started working on a solution. I have received 3 treatments now and I am already seeing a major difference. Thank you IPM and Dr Eric for helping with my back issues”"
"•	(GOOGLE) “I have had the pleasure calling Dr. Eric Schouten my doctor over several years of time. I have always been so impressed with his knowledge, skill and care for not only me and but my family as well…. Office is always clean, staff is super nice. I always feel like I'm at home with him and his team. I would recommend him to anyone."